Highlights from the single-speed races at the 2018-2019 U.S. Cyclocross National Championships. We captured all of the muddy chaos that took place in Joe Creason Park, Louisville, Kentucky, on Saturday December 15, 2018. You can support the Maxxis Cyclocross Television series by giving a thumbs up and leaving a comment. Also, check out our swag at http://www.crosshairscycling.com/shop. And visit http://www.cyclocrossbook.com to get your copy of Skills Drills and Bellyaches: A Cyclocross Primer. Follow @cxhairs on Instagram and Twitter. Have a question, comment, complaint or general inquiry? Hit us up at feedback@cxhairs.com. And don’t hesitate to call the hot line: 405-CXHAIRS. Finally, go to http://www.wideanglepodium.com and become a member. Maxxis Cyclocross Television is part of the Wide Angle Podium network. So much good stuff to put in your ears and now in front of your eyes. Be a part of the community and get in on all of the awesome. We are in Broken Arrow, Oklahoma, for day one of Ruts n Guts. This episode features the men's UCI C1 race that took place December 8. Maxxis Cyclocross Television is presented by Maxxis Tires. Check them out at www.maxxis.com and give them a follow on Instagram at @maxxisbike (www.instagram.com/maxxisbike). We are in Goddard Memorial State Park in Warwick, Rhode Island, for the 2018 NBX Grand Prix of Cyclocross. This is the final weekend of the Vittoria Northeast Cyclocross Series and featured in this episode is the women's C1 elite race. We are in Goddard Memorial State Park in Warwick, Rhode Island, for the 2018 NBX Grand Prix of Cyclocross. This is the final weekend of the Vittoria Northeast Cyclocross Series and featured in this episode is the men's C1 elite race. Curtis White has dominated the Vittoria Series but this race has a bunch of challengers to his winning streak, including the return of Stephen Hyde, a surging Kerry Werner, and Spencer Petrov and Jeremy Powers who are both building towards Nationals after mid-season setbacks. Special thanks to Nate Ryan for operating camera 2. 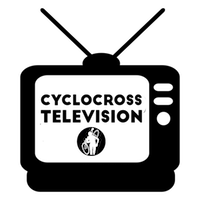 Maxxis Cyclocross Television episode S2E18 from the Johnson County Fairgrounds in Iowa City Iowa, features the men's UCI C1 elite field at Jingle Cross. A muddy track and rainy conditions meant a lot of running for the final UCI race of the weekend. Maxxis Cyclocross Television episode S2E17 from the Indy Cycloplex in Indianapolis, Indiana, features the men's UCI C2 elite field at the Major Taylor Cross Cup. A slick track meant a lot of tricky corners and untimely crashes for Sunday's UCI race. All footage for this episode provided by Brent Meyer. Follow him on Instagram at @trickthebox (https://www.instagram.com/trickthebox/). 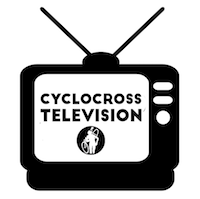 Maxxis Cyclocross Television episode S2E16 from the Johnson County Fairgrounds in Iowa City Iowa, features the women's UCI C1 elite field at Jingle Cross. A muddy track meant a lot of running and tricky features for the UCI race of the weekend. Maxxis Cyclocross Television episode S2E15 from Deerfield Township, Ohio, features the men's elite field at Kings CX. Rainy conditions and a slippery track created exciting racing for this fast and motivated field. For Minisode 3 we are taking a look at the UCI C2 men's and women's elite cyclocross races at the Silver Goose CX in Midland, Ontario. Ever-changing weather conditions kept racers guessing throughout the day as they tackled this fast and flowy beachfront track. Maxxis Cyclocross Television is presented by Maxxis Tires. Check them out at maxxis.com and give them a follow on Instagram at @maxxisbike (www.instagram.com/maxxisbike). Finally, go to http://www.wideanglepodium.com and become a member. Maxxis Cyclocross Television is part of the Wide Angle Podium network. So much good stuff to put in your ears. Be a part of the community and get in on all of the awesome. Maxxis Cyclocross Television episode S2E14 from Deerfield Township, Ohio, features the women's elite field at Kings CX. The return to Kingswood Park did not disappoint as the women's race featured a great battle. Super technical conditions made for exciting racing and put a premium on handling skills. 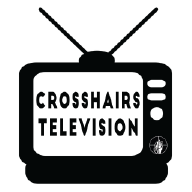 Here's Maxxis Cyclocross Television Minisode 2 from Kings CX in Mason, Ohio. This minisode features the women's elite race. Finish line photos by Bruce Buckley.